After a slew of warm and dry days (and some very windy ones too) we will see a quick change in our weather pattern later this week. 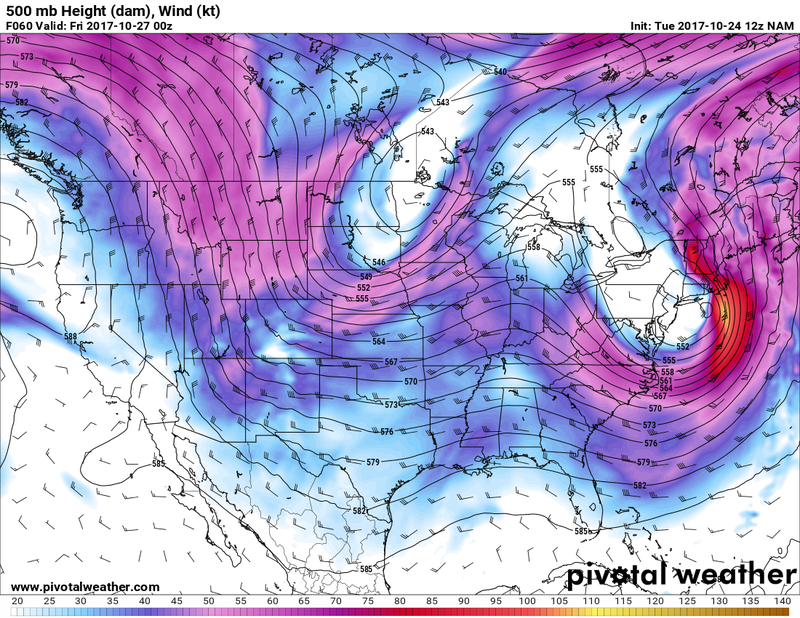 The jet responsible for our strong winds the past few days is sliding Eastwards, this will relax our winds a bit today but it will remain breezy. Temperatures will remain seasonal today with highs in the low 60’s to upper 50’s along most of the Palmer Divide. Castle Rock should top out around 60-62 degrees for Tuesday under partly cloudy skies. By Wednesday a strong ridge builds in place over most of the Southwestern U.S. with Colorado being on the edge of this feature. Depending on our positioning we may see more effects of the ridge or less ,but ridging in general means one thing… warmth! 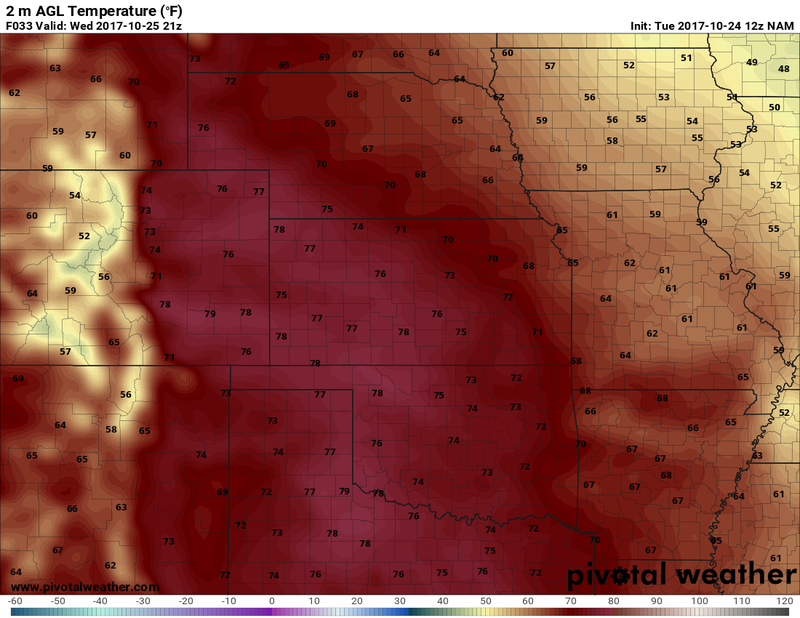 Many areas across Colorado’s plains will experience a warm day on Wednesday with high temperatures in the mid to upper 70’s. Expect windy conditions to re-develop later in the day as the next storm system begins to take shape. 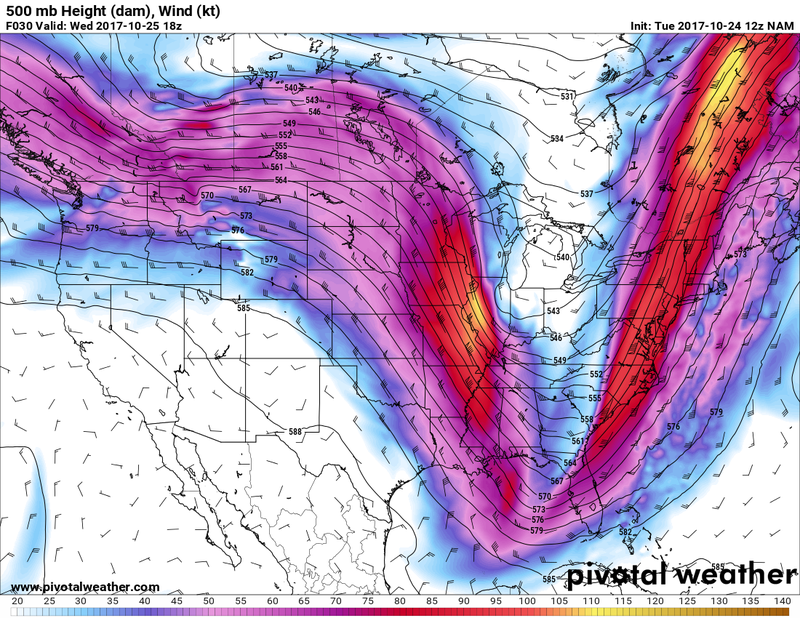 By Thursday you can see the jagged appearance of the jet stream and the low forming to the North of Colorado. Most models don’t have this low pressure system slipping far enough South to bring us any decent moisture. 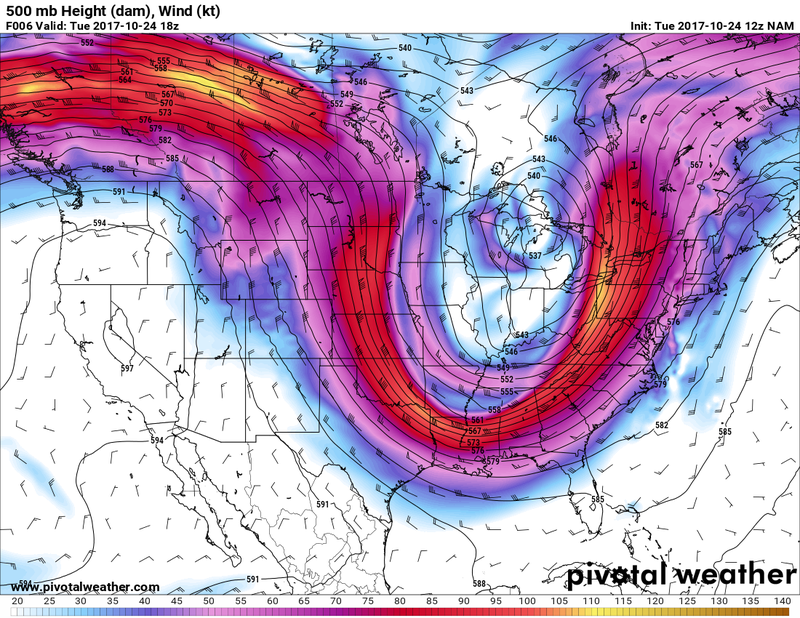 Additionally, the positive tilt of the low pressure trough is not something that we hope to see if we’re expecting large amounts of snow for the plains of Colorado. The coldest air simply won’t make it far South enough to chill us too much. As such, the main story with this storm system will be the colder air and the small amounts of snow. 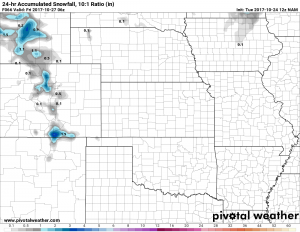 NAM snowfall forecast through 11PM Thursday. The rain/snowfall looks to be done by the evening hours on Thursday. Again, does not look like major snow accumulation for most areas. 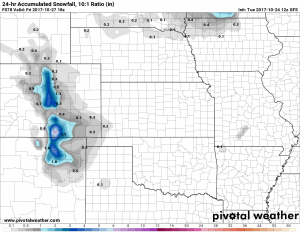 The mountains will see the best chance of picking up a couple inches of snow. This storm will impact the area most of the day Thursday with rain changing to snow with colder air later in the day. Expect precipitation to end by the evening/overnight hours. Some areas may see snowfall accumulation on bridges and overpasses during heavier bouts of snow. 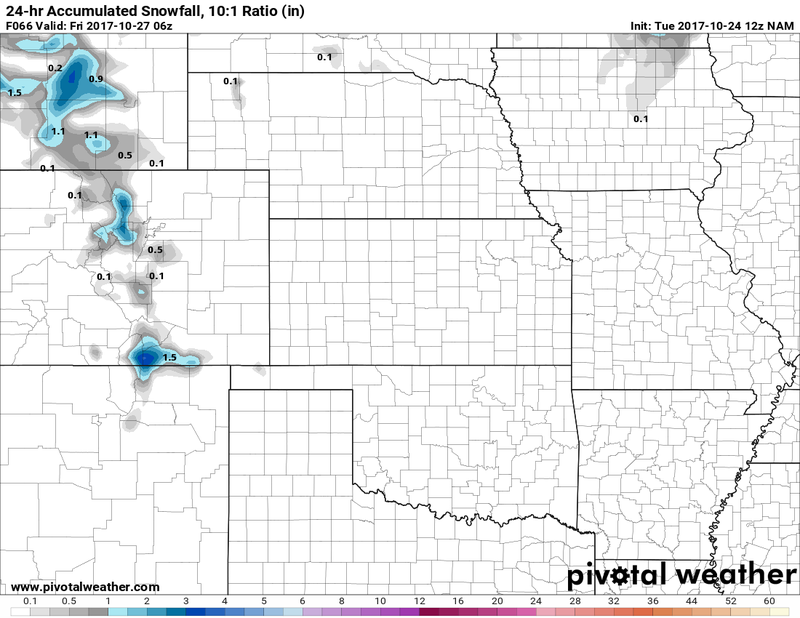 No significant snow accumulation is expected over the Palmer Divide region. Some roads may accumulate snow or slush, major hazards are not expected with this storm. 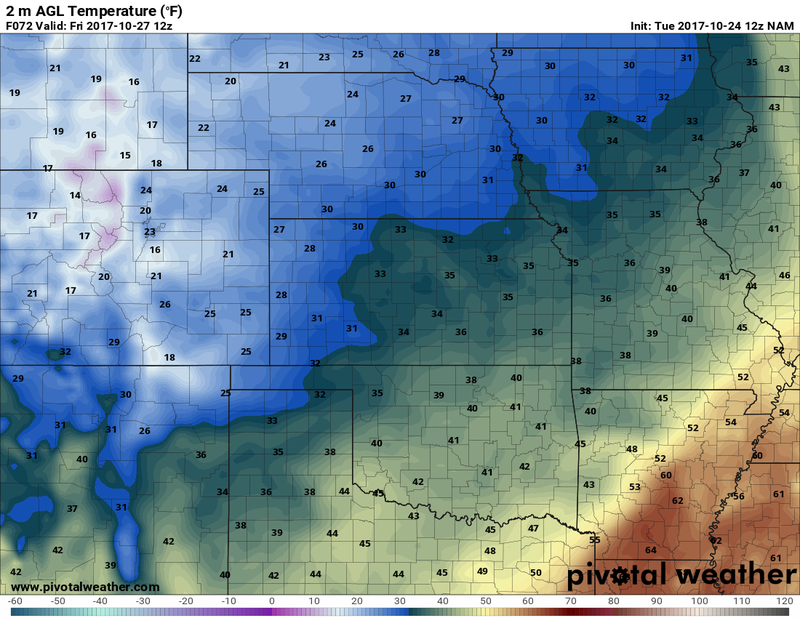 Be ready for sub-freezing temperatures. Disconnect hoses and ensure sprinkler equipment is ready. 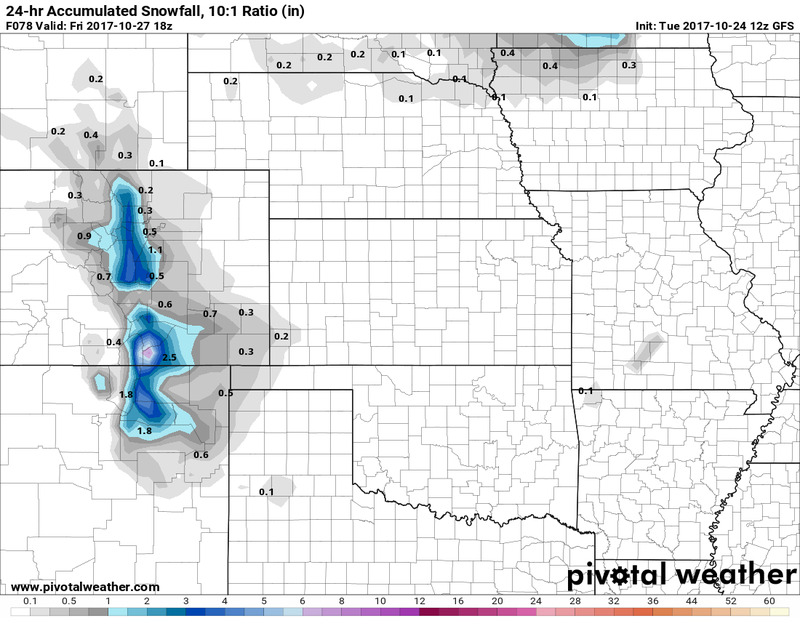 **I do expect a lot of the lower elevation areas to not accumulate snow well… so 0 inches will be possible for a lot of areas at or below 6,000 feet. So all in all, not a major storm coming in this week. We will look for melting in a lot of areas so any places that get snow accumulation will see light snow totals overall. The main story will be the cold, expect low temperatures to be well below freezing in many areas across the Palmer Divide. As of right now, this models is forecasting temperatures to dip down to as low as 15-16 degrees for Castle Rock on Friday morning. If you haven’t winterized your sprinklers yet, the next day or two will be an excellent time to get everything shut up and prepared for another hard freeze! We will have any additional updates to the forecast for this storm as needed in the next day or two!